have their vehicle software customised to meet their exacting needs. 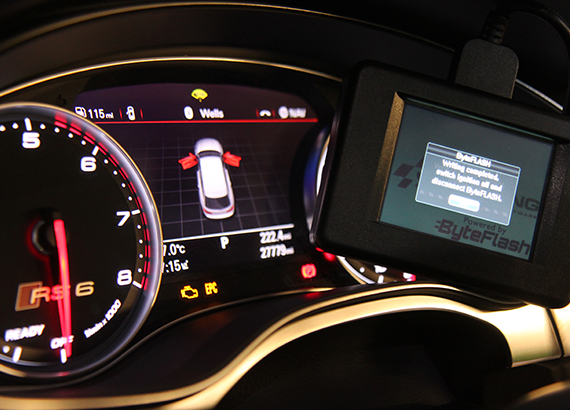 ByteFLASH Touch is a handheld OBD programmer which offers drivers the ability to install ByteFLASH automotive software at home, and switch between multiple tuning programs quickly and easily. Software is available for Petrol and Diesel cars and can be customised to the needs of the end user. This could be for performance, fuel savings, torque for towing or speed limiters amongst other applications. A typical diesel vehicle on average can gain the following results following an upgrade to ByteFLASH software.